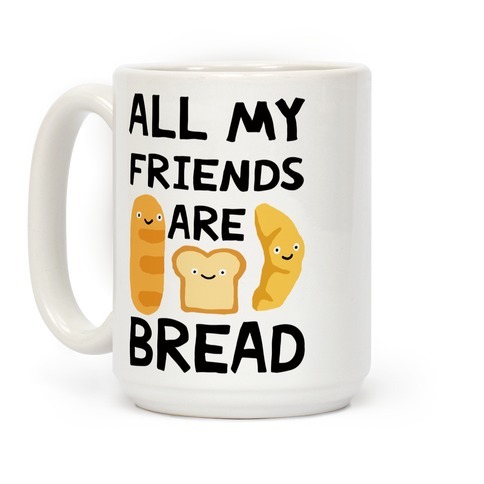 Browse our collection of 8 For This All Year Coffee Mugs and more. Designed and printed in the USA. 100% Satisfaction Guaranteed. 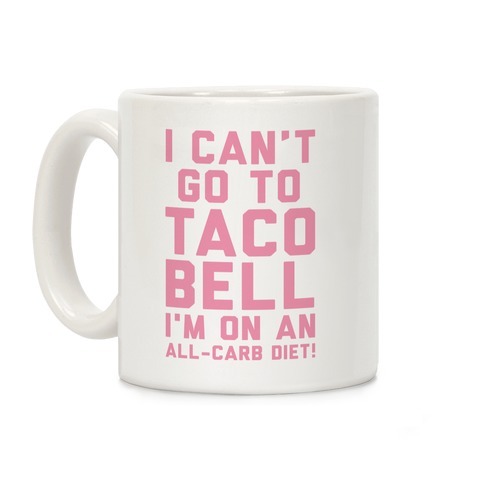 About this Design I can't go to taco bell, I'm on an all carb diet! God Karen you're so stupid! 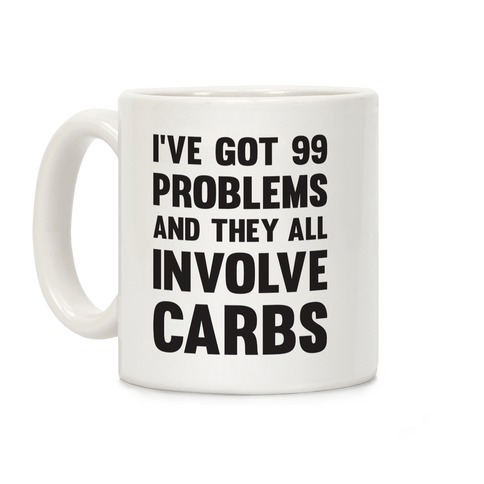 Show that you really want to lose three pounds with this mean girls quote inspired design. I can't go to taco bell, I'm on an all carb diet! God Karen you're so stupid! Show that you really want to lose three pounds with this mean girls quote inspired design. About this Design Granted, It's a temple littered with puddles of Mountain Dew and thai food, but it's a temple all the same. 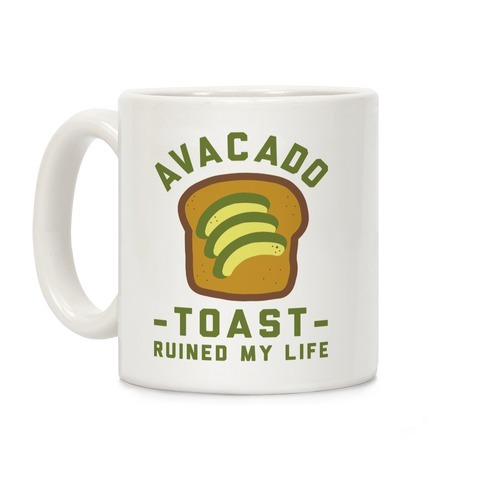 Grab this ironic lazy mug and fill it with bad decisions. Show some respect for your temple as you dive bomb into the couch. Granted, It's a temple littered with puddles of Mountain Dew and thai food, but it's a temple all the same. 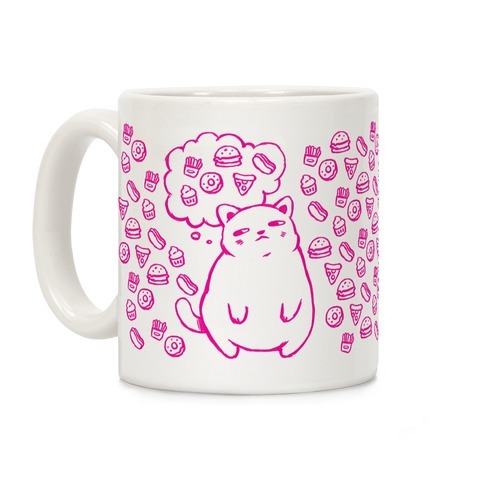 Grab this ironic lazy mug and fill it with bad decisions. 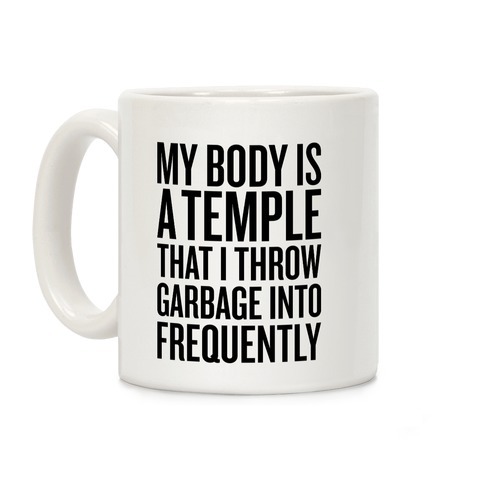 Show some respect for your temple as you dive bomb into the couch. About this Design Lookin' like a snack and eatin' all the snacks! Get into your workout routine with this , "I Workout So I Can Look Like A Snack And Eat One Too" fitness design! 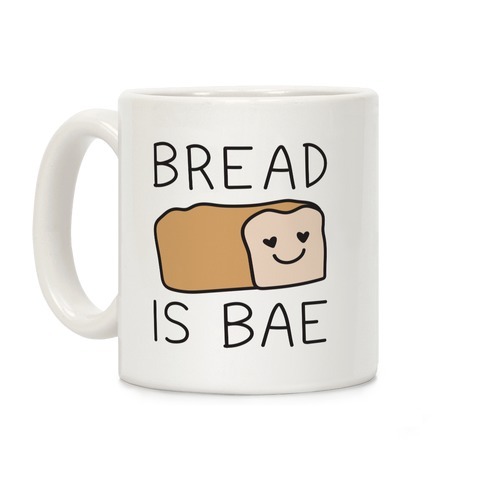 Perfect for a food lover, being body positive, gym humor, and fitness quotes! Lookin' like a snack and eatin' all the snacks! Get into your workout routine with this , "I Workout So I Can Look Like A Snack And Eat One Too" fitness design! 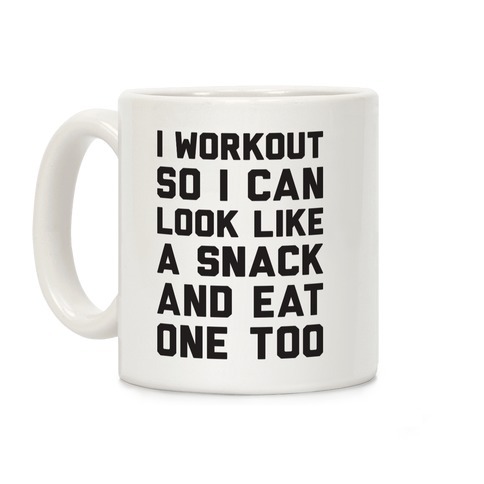 Perfect for a food lover, being body positive, gym humor, and fitness quotes!